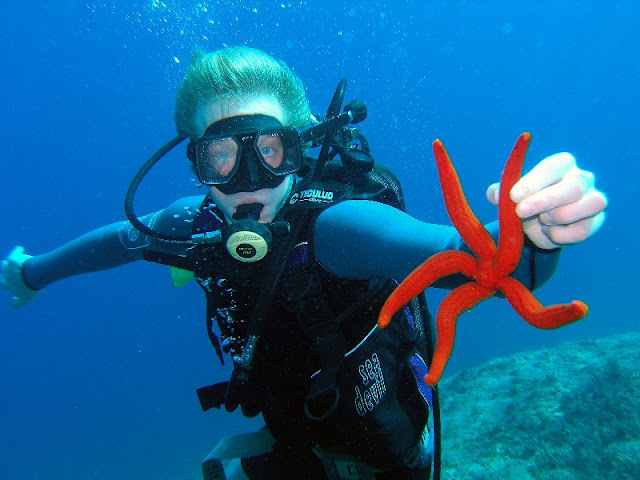 Zakynthos | Boat Trips | Boat Rentals | Authentic Local Experiences: SCUBA DIVING IN THE ZAKYNTHIAN SEA! ELIGIBLE FOR BEGINNERS AND CHILDREN! 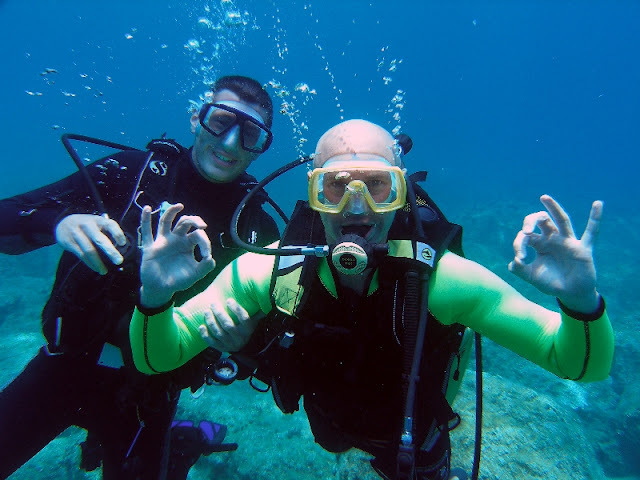 SCUBA DIVING IN THE ZAKYNTHIAN SEA! ELIGIBLE FOR BEGINNERS AND CHILDREN! The Zakynthian Sea is one of the most beautiful seas in the world, ready to be explored. Have a try on scuba diving and gain an unforgettable experience. Snorkeling: swimming with goggles, snorkel and flippers. For those who can't stand the cold water a diver's uniform is provided. Adults and children older than 8 years can enjoy snorkeling and see the underwater world of Zakynthos Island. Try Diving: A dive for beginners. Eligible for adults in good health-shape and children older than 8 years (from 8-10 years the maximum depth of diving is 2m). The equipment is provided from the scuba center. First, there is a short training about the use of the equipment, the pressure equalization, and the diver communications (mostly hand signals). Next, follows the transport to Marathonisi and the diving. 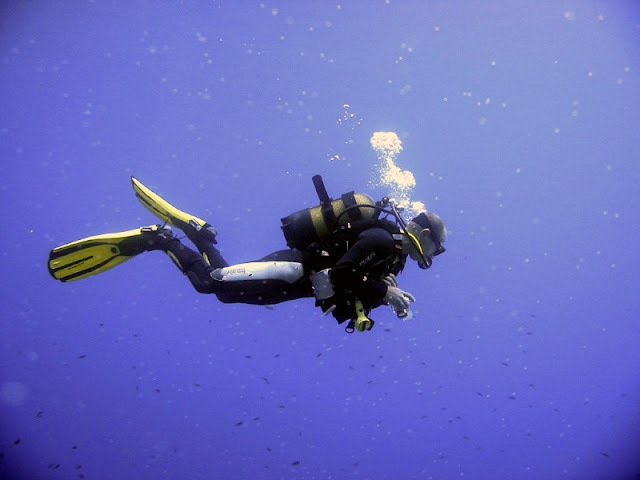 Each instructor is allowed to have only one or two divers under surveillance. May only 15:00- 19:30 is valid. The gathering of the divers takes place at the scuba diving center at 09:00 in the morning. 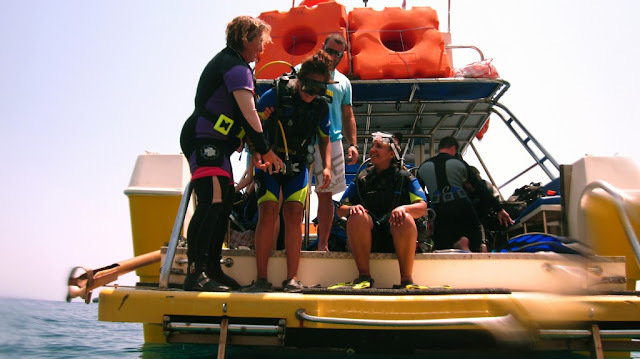 Boat Diving: This dive is addressed to experienced divers certified by PADI. The diving takes place in Marathonisi or Keri every day except for Sundays from 10:00 to 14:30. To book a trip, please contact us from 09:00 in the morning until 12:00 at night. If your dive is cancelled due to weather conditions you must arrange a new date within 24 hours or ask for your money back; failing to do so there is no refund.